It was an ordinary day for Jamie Efurd. She and her daughter Callie (age 4) were only going to the ophthalmologist to get Callie some glasses. Things changed all of a sudden when the doctor mentioned Marfan syndrome and the need for a cardiologist appointment. “I needed fresh air immediately and for my daughter not to see me break down into tears”, recalls Jamie. Marfan syndrome is a multi-system connective tissue disorder. About 200,000 people in the U.S. have Marfan or a related disorder, but experts estimate that half of them do not know it and are at risk of a potentially fatal tear of their aorta, the large artery that takes blood away from the heart. Marfan syndrome is far from being a household name; therefore, raising awareness of the signs of Marfan can help save lives. Features of this disorder are not always visible right away and symptoms can also vary in combination. 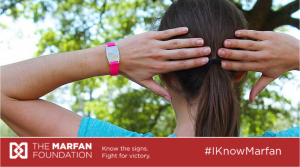 According to The Marfan Foundation, it is important for people living with Marfan syndrome and related disorders to get accurate and early diagnosis and treatment. People with Marfan are 250 times at greater risk of aortic dissection. A person with Marfan syndrome can appear healthy on the outside and aortic dissection may not be the first problem that emergency personnel think of. This is why medical IDs are an important tool for people living with Marfan syndrome. In an emergency, medical IDs can help impacted individuals get fast and accurate evaluation and treatment especially when the patient may be unable to communicate their medical history. Marfan stories such as those of Callie, Sinclaire, and Alison encouraged us at American Medical ID to join hands with the Marfan community in raising awareness of this relatively rare disorder and fight for victory. We’ve partnered with The Marfan Foundation to make medical alert jewelry such as Marfan awareness bracelets and necklaces, more accessible to people living with Marfan and its related disorders. We know that medical alert jewelry can help Marfan patients enjoy the peace of mind to live passionately and follow their dreams to the fullest. We also produced this resource page in partnership with The Marfan Foundation to lend our knowledge and expertise on choosing and engraving a medical ID bracelet or necklace for Marfan awareness. 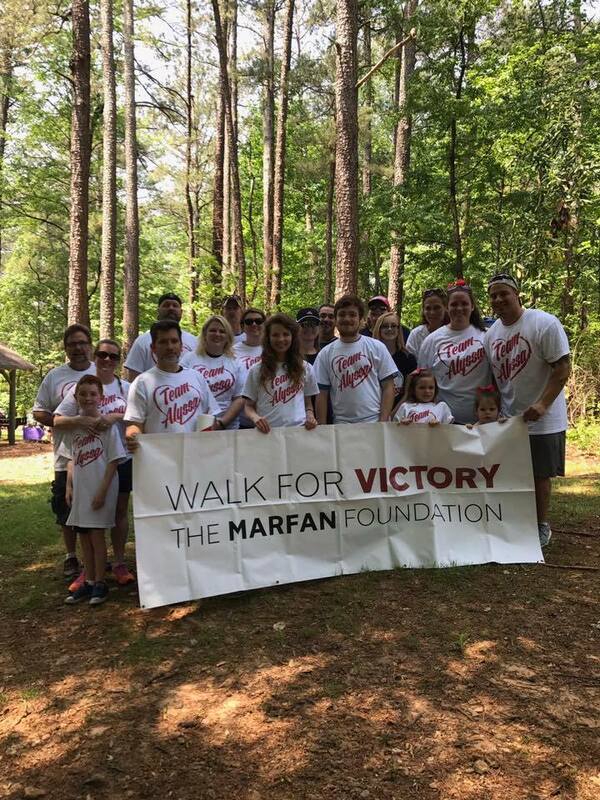 The Foundation also holds an annual conference that is a great place for support and to meet so many other families that are impacted by Marfan syndrome. To learn more, visit http://www.marfan.org. 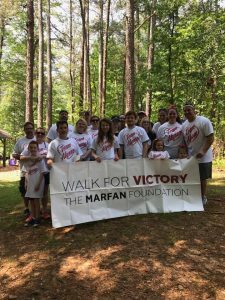 If you liked this post, please leave us your comments of support and encouragement for the Marfan community and help us raise awareness by sharing our blog on your social media. Know the signs and fight for victory over Marfan syndrome! Marfan, Marfan Awareness, Marfan Syndrome, Rare disease, The Marfan Foundation. Bookmark.